Weight Loss Surgery Sweet Holiday Success! 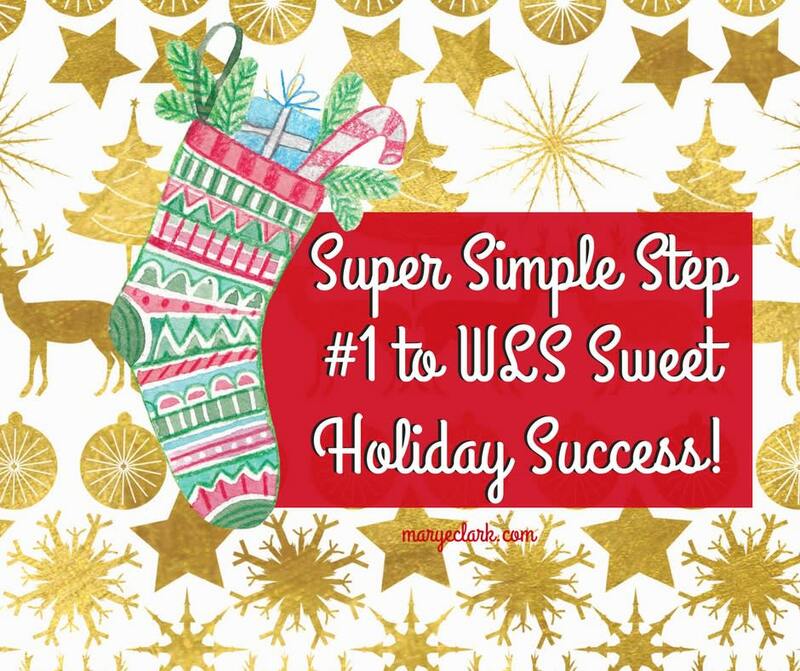 Super Simple Step #1 to weight loss surgery sweet holiday success! Get Clear on Your Schedule! Sounds pretty basic, right? BUT how often do you underestimate how long something really takes? How often do you forget to allow time for those things that’ve been coming up a lot lately at work, school, or with your family? And what happens when your days become more filled? You usually get pushed to the bottom of the list. That’s what happened to me before weight loss surgery, and my hunch is that may have been a factor in you needing surgery too…your needs came last. Today, get clear on your schedule. Get out your paper planner or open your online calendar, and get EVERYTHING you can think of into your schedule! And then, get even more specific. Have you accounted for all parties, potlucks, and get-togethers? Have you accounted for all shopping trips, travel time, unloading time, put-away time, wrapping time? Have you thought about those things that’ve been coming up lately at work, the road construction, the extra help your daughter’s been asking for with her latest project, the visits from your neighbor? YOUR GOAL is to get SUPER CLEAR and SUPER REALISTIC about your schedule, so you can STILL schedule time to take care of YOURSELF with all the weight loss surgery guidelines during the holidays. Instead of throwing in the towel thinking…”There’s too much to do! I can’t possibly find time to exercise!” OR “How can I get all of this done AND prepare healthy meals?” Not this year. Not on our watch. Click here for Simple Step #2! Click here for Simple Step #3 – Part 1! Click here for Simple Step #3 – Part 2!